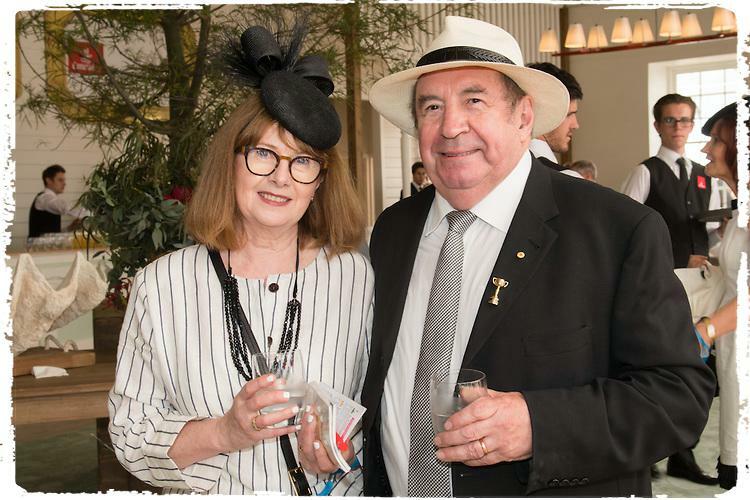 Derby Day once again kicked off the Melbourne Cup Carnival in style today with Emirates entertaining a number of fashionable guests in it’s Australian-themed marquee. While guests celebrated the action off the racecourse, trainer James Cummings, grandson of late racing legend Bart Cummings, secured his first Group 1 AAMI Victoria Derby with Prized Icon ridden by jockey Glyn Schofield, providing an emotional win. To acknowledge Emirates’ 20th year of operation in Australia, this year’s Emirates marquee has taken inspiration from the classic Australian homestead, as well as the cities that Emirates flies to – Melbourne, Brisbane, Perth, Adelaide and Sydney. The marquee has been inspired by the vibrant Australian flora and fauna with design elements including eucalyptus mint, waratahs and kangaroo paws. There were also some prized icons in the marquee with special guests including international celebrity chef Curtis Stone, actress Rachel Griffiths, sporting legend Shane Warne and son Jackson, the Hon. 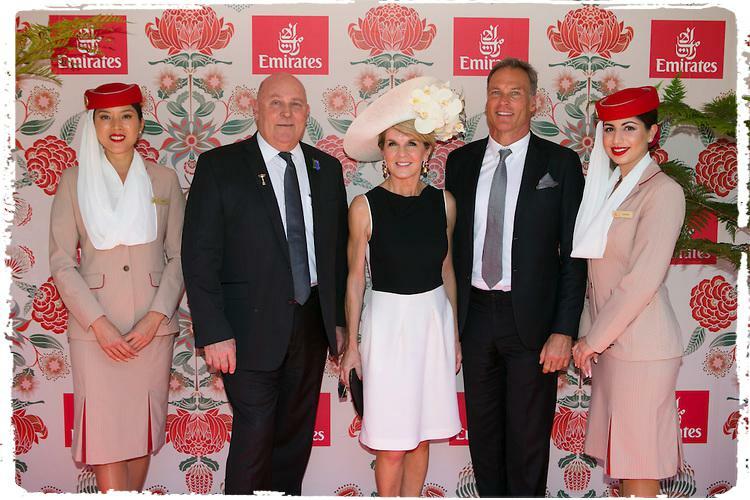 Julie Bishop MP and partner David Panton, Olympian James Magnussen, socialite Francesca Packer, and last year’s Emirates Melbourne Cup winner Michelle Payne among the first to experience the Australian-themed marquee. Other guests included Bambi Northwood Blyth, Vince Colosimo, Peter Helliar, Elyse Knowles, Olympia Valance, J.R Reyne and Louise van der Vorst and The Bachelor pairs – Tim Robards & Anna Heinrich; and Richie Strahan & Alex Nation. Lindy Klim was also in attendance with new fiancé Adam Ellis. “It has been a fantastic start to the Carnival and we’ve been pleased to welcome our first guests to our Australian marquee,” said Barry Brown, Emirates Divisional Vice President – Australasia. “Emirates has been flying to Australia for 20 years and this is our 19th year of partnership with the Victoria Racing Club, so we thought it apt to celebrate these milestones in our marquee this year. “We are honoured to have been a part of this world class Carnival for almost as long as we’ve been in Australia, and we look forward to the upcoming race days particularly the much revered Emirates Melbourne Cup,” said Mr Brown.